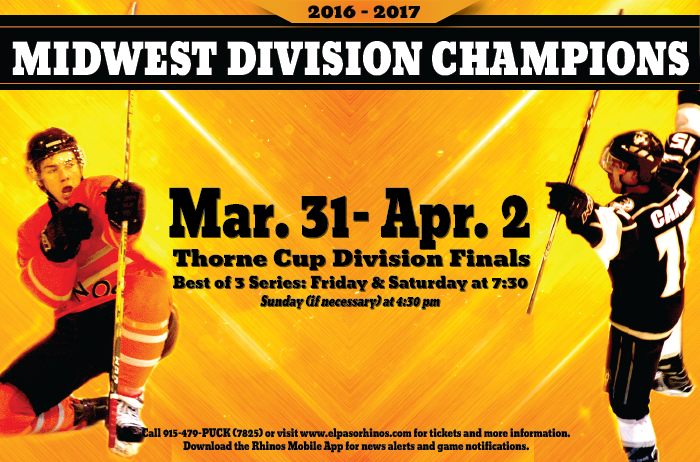 Purchase your 2018 Thorne Cup tickets today! 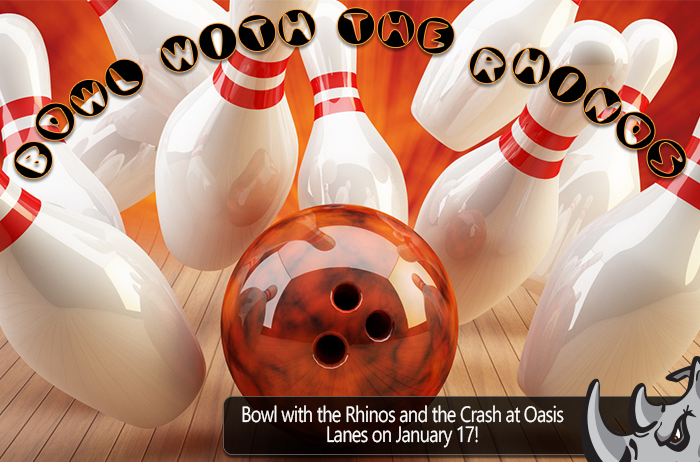 The Rhinos beat the Long Beach Bombers, 3-2, and finish the Showcase with a record of 2-1. 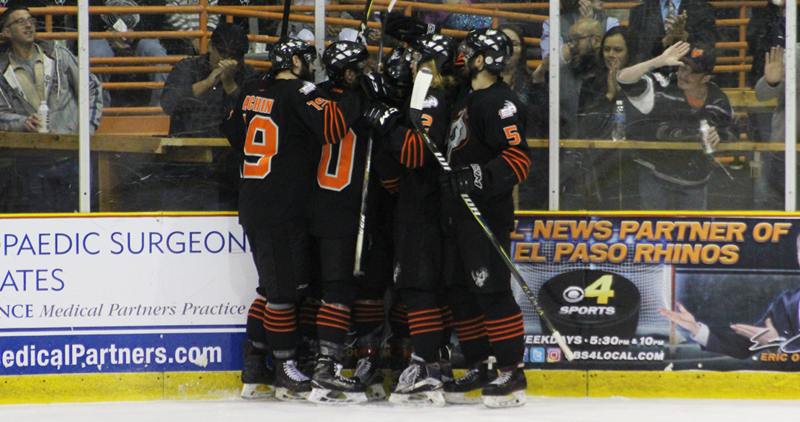 For the third time in their twelve-year history, the El Paso Rhinos have been selected to host the Thorne Cup Championship. 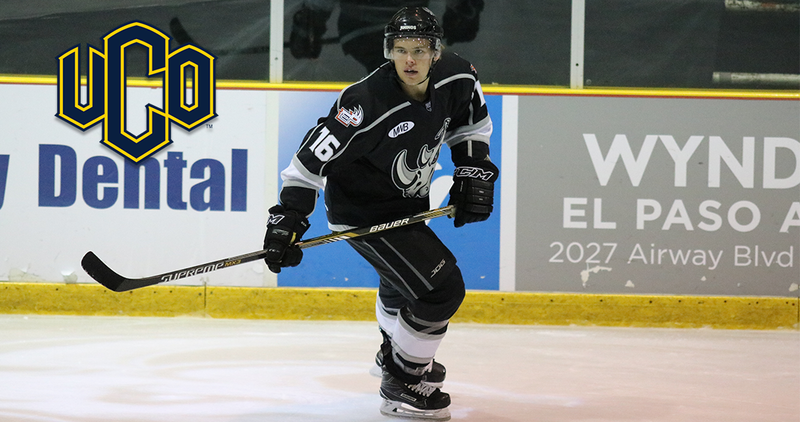 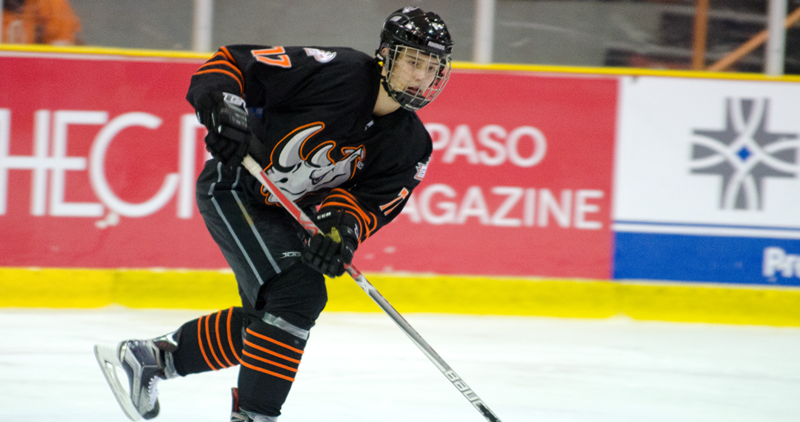 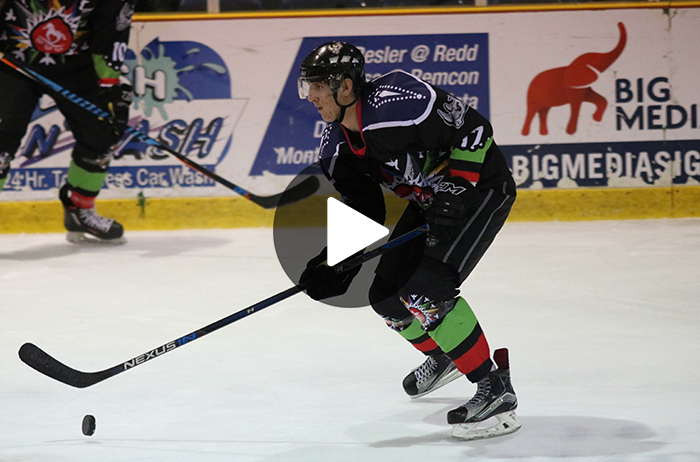 Four Rhinos tallied goals to give El Paso a 4-2 win over the Odgen Mustangs in their second game of the WSHL Showcase. 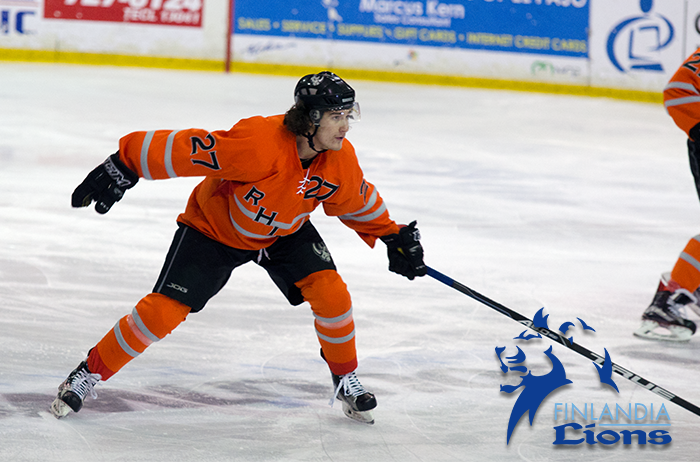 With only 1.4 seconds left, Russell Harren slipped one past Krasanovsky, halting the Rhinos’ win streak at 27 games. 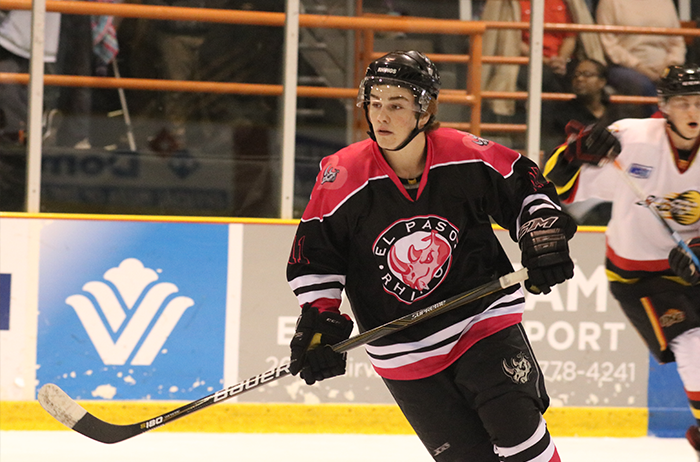 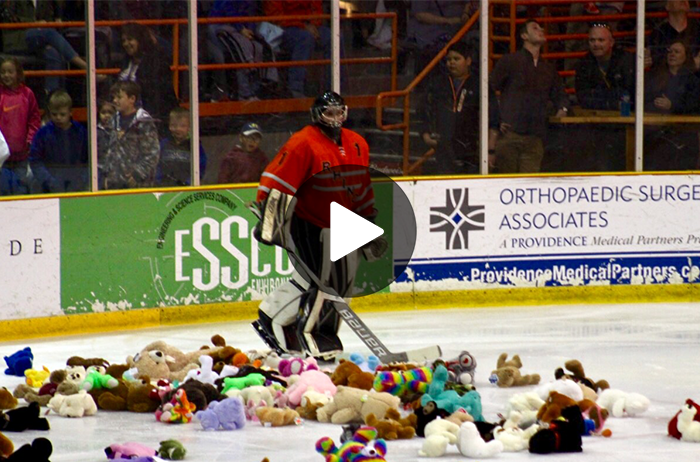 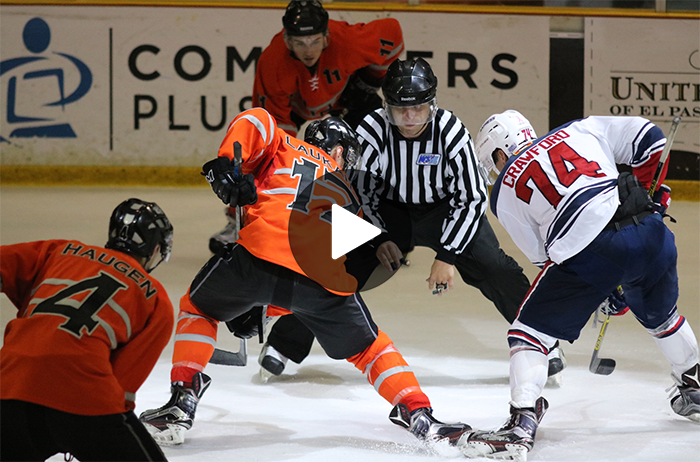 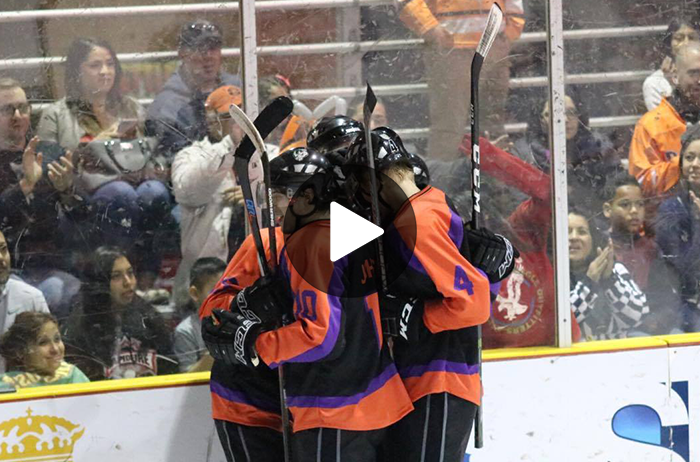 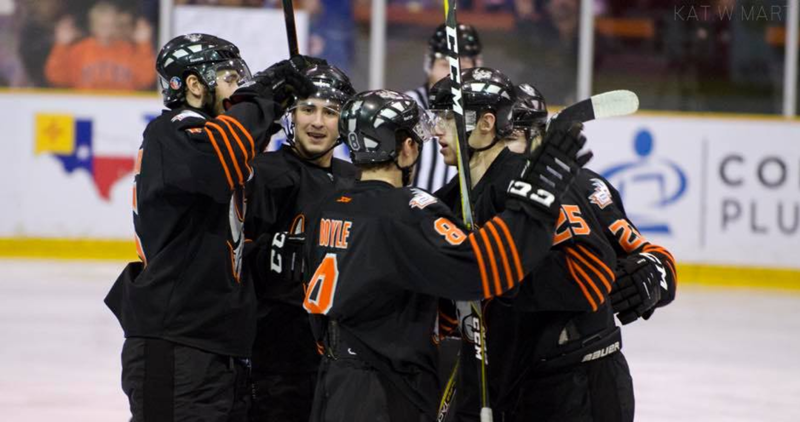 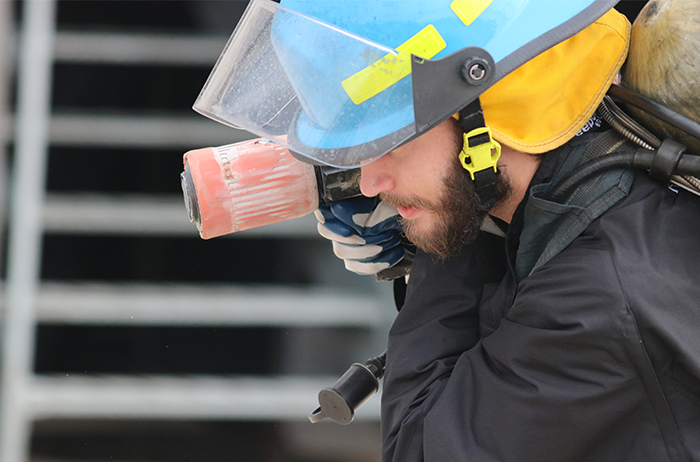 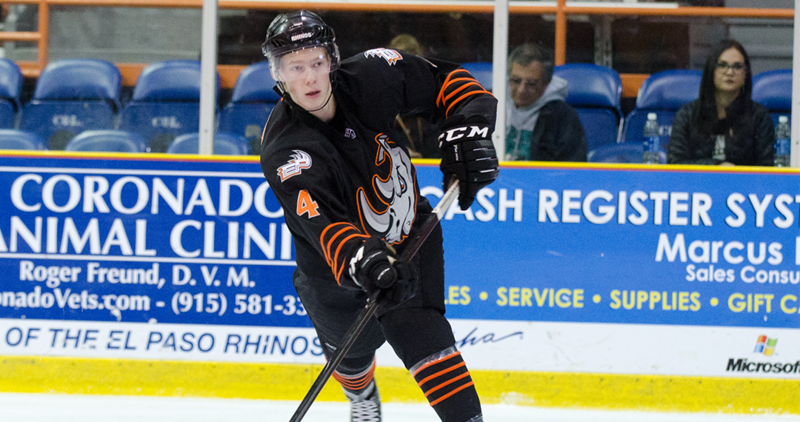 Chaseton Sare notched a hat trick and the El Paso Rhinos swept the Oklahoma City Blazers with a 6-1 win in the series finale Sunday to stay unbeaten on the season at 27-0-0. 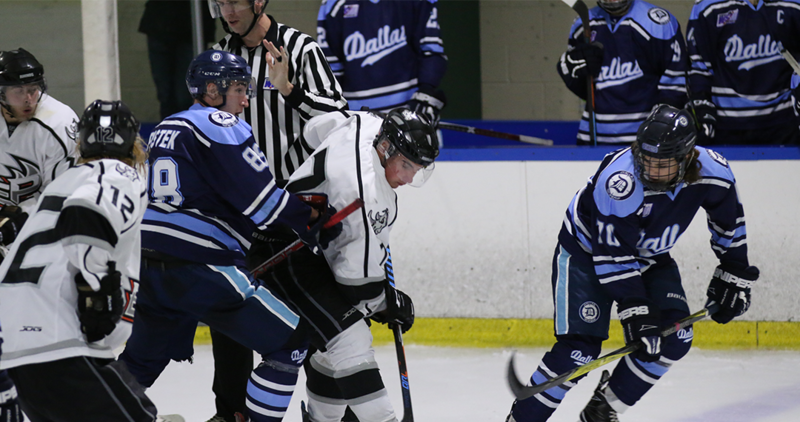 With a 6-1 win in game three, the Rhinos sweep the Oklahoma City Blazers and remain undefeated. 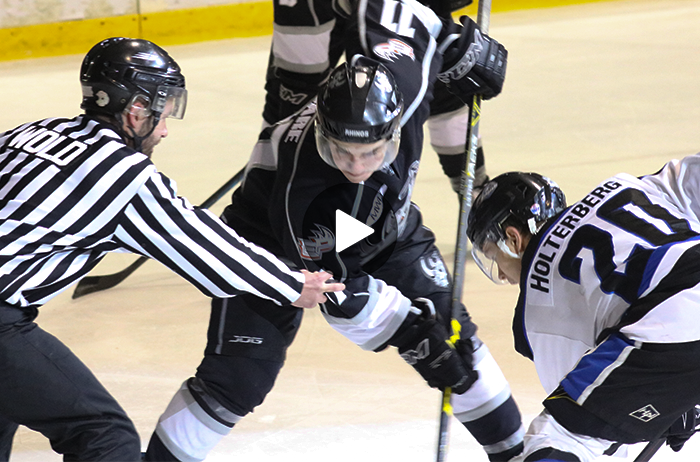 With a 4-1 over the Oklahoma City Blazers in game two, the Rhinos take 2-0 lead in the series. 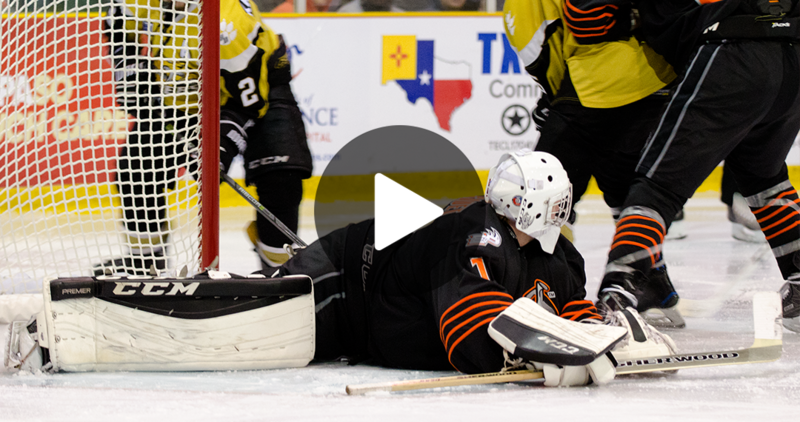 The Rhinos remain undefeated with a 7-2 win over the Oklahoma City Blazers. 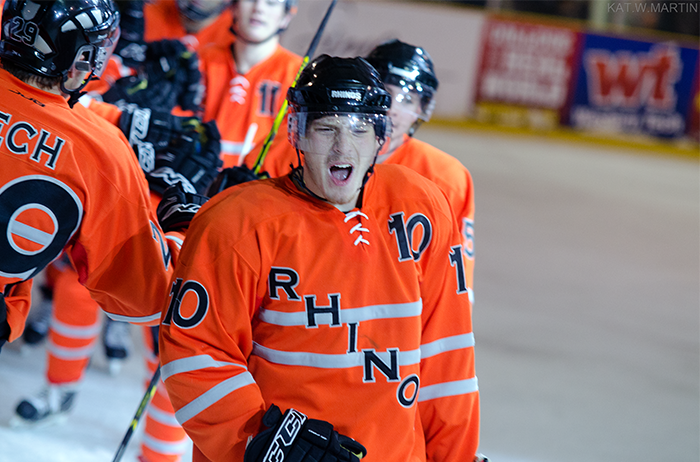 Goalie Filip Krasanovsky made 25 saves on 26 shots, forward Chaseton Sare scored twice in the third period and the Rhinos won anyway, 4-1. 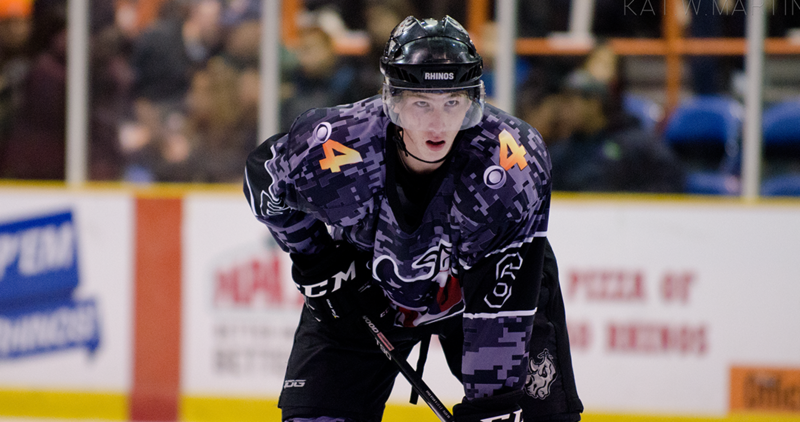 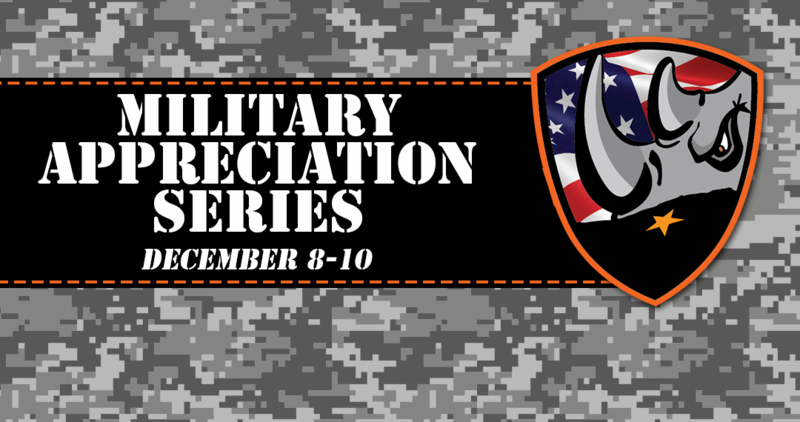 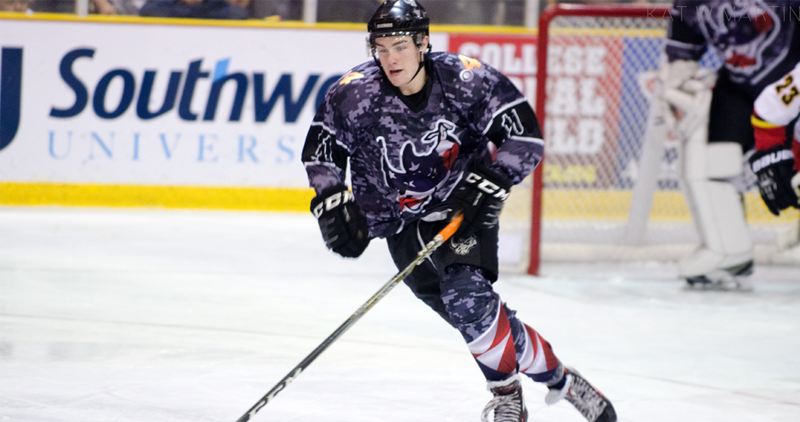 The Rhinos will host their annual Military Appreciation Series Dec. 8-10. 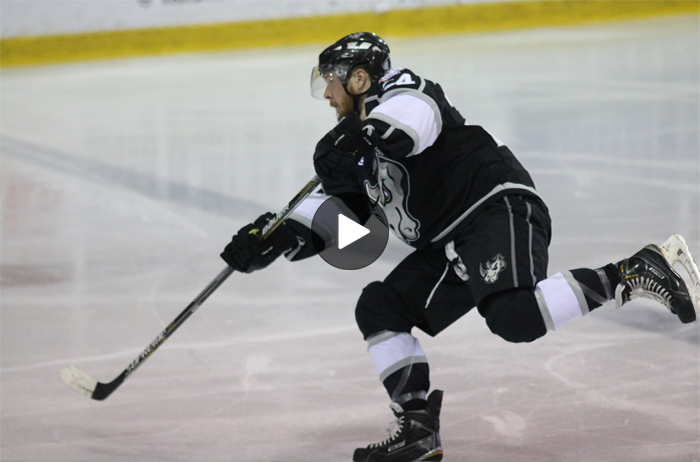 The Rhinos posted 24 goals and blanked the Knights twice in this past weekend's series. 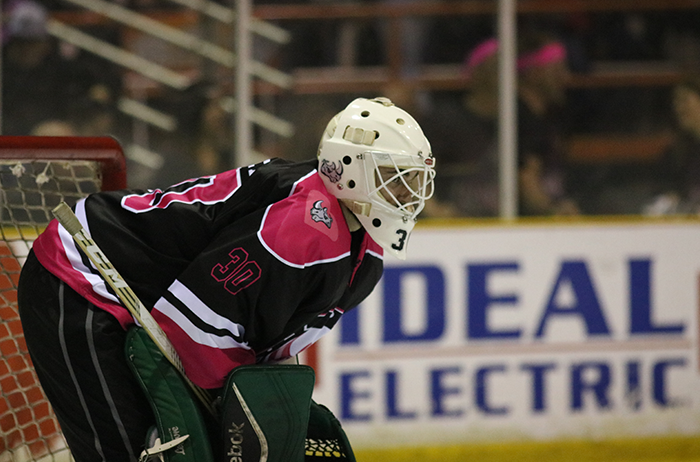 The Rhinos extend their win streak to 21 games with a 7-3 win over the Springfield Express in game three. 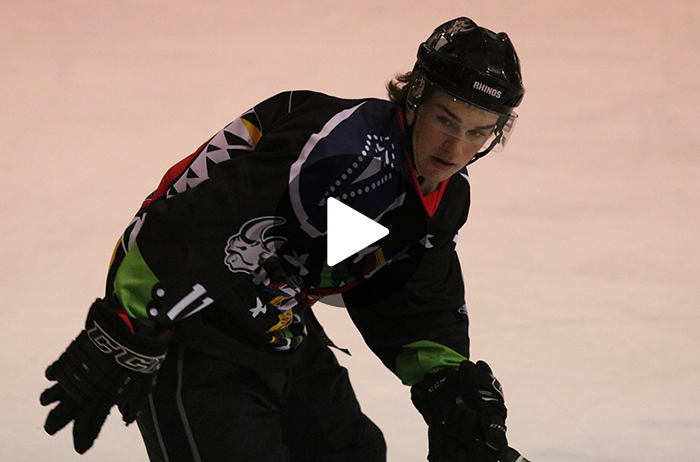 Carlo Wittor's two goals and one assist helped the Rhinos earn a 6-3 win over the Springfield Express in game two. 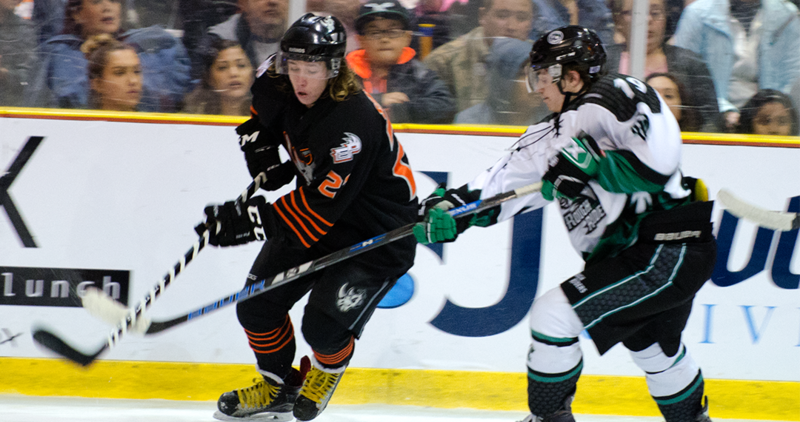 Springfield scored first, but the Rhinos were able to gain and maintain the lead. 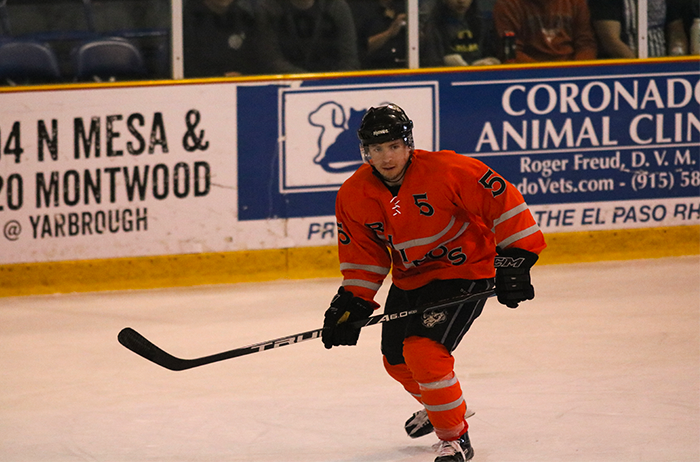 The game ended with a final score of 6-3. 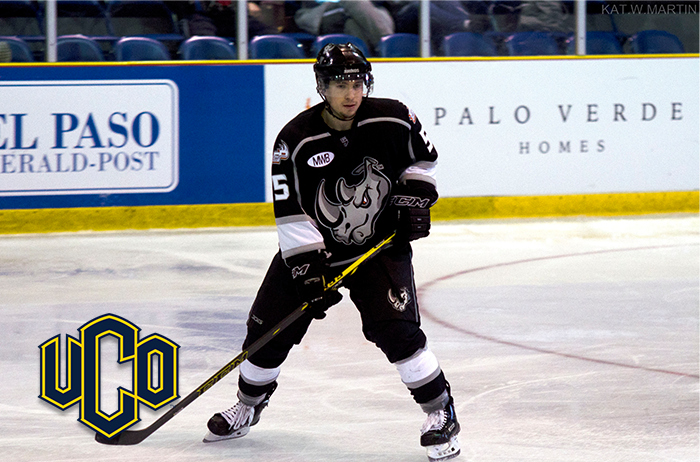 With an OT win in game three, the Rhinos swept the Colorado Eagles. 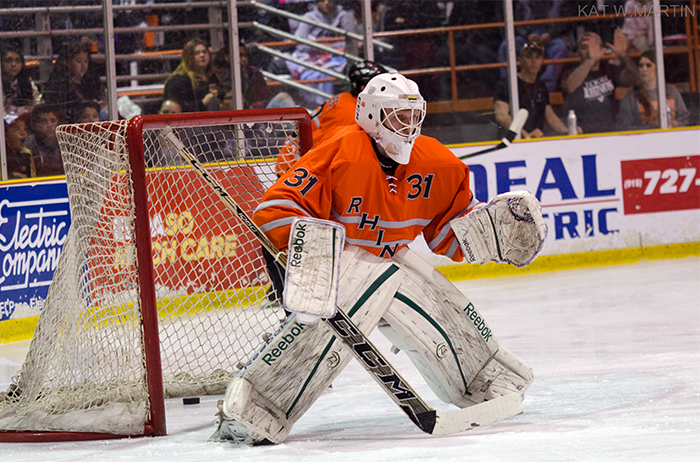 The Rhinos extended their win streak to 15 games with a sweep of the Springfield Express over the weekend. 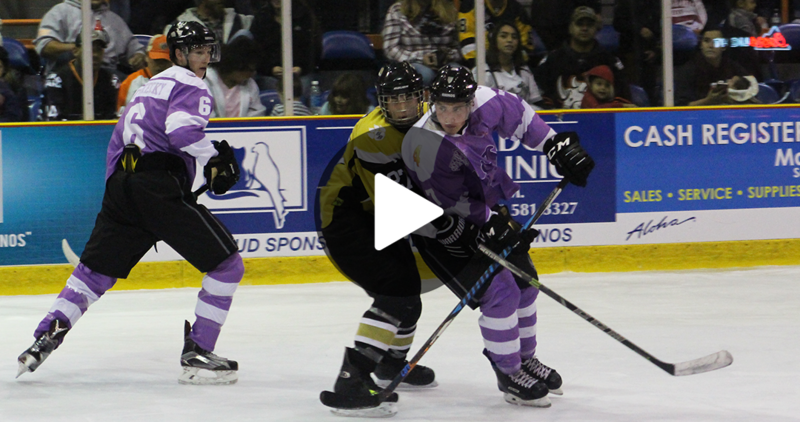 On this week's segment of "Do My Job", anchor and reporter Kelly Anne Beile hit the ice to learn about the game of hockey. 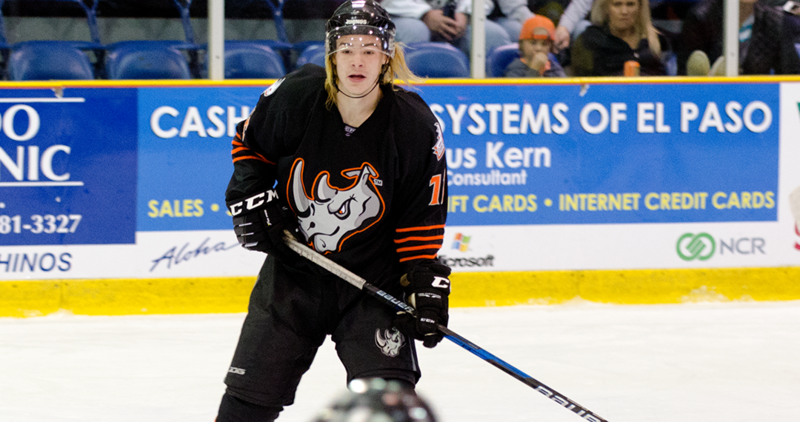 Six different Rhinos scored goals in the game 3 win over the Roughriders. 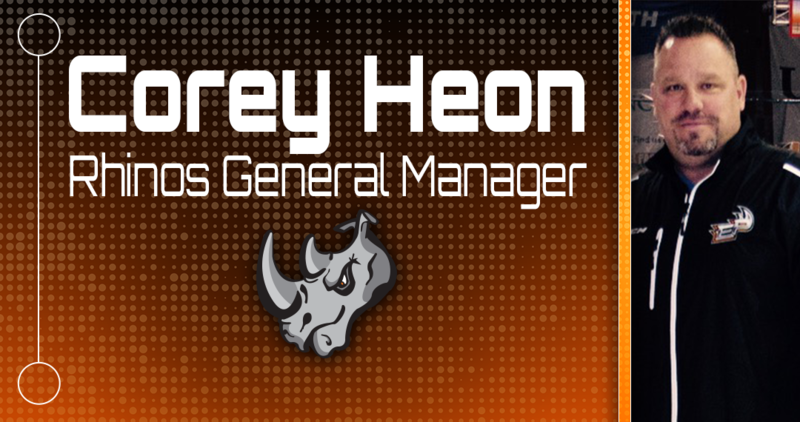 With the sweep, the Rhinos are now 12-0. 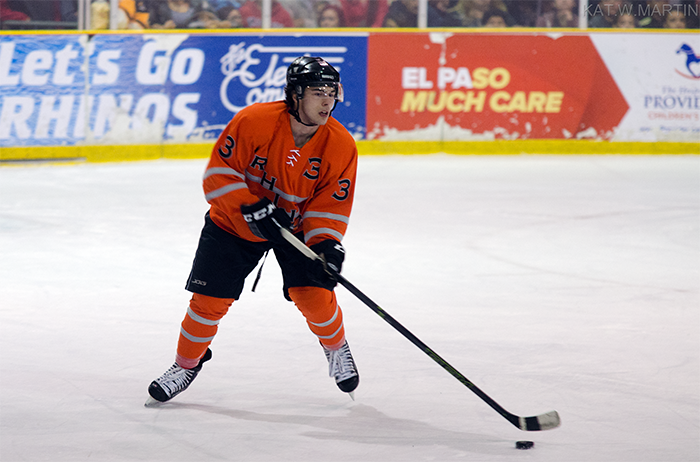 Tim Heffner and Chaseton Sare earned hat tricks in El Paso's 13-2 win over the Superior Roughriders in Game 2. 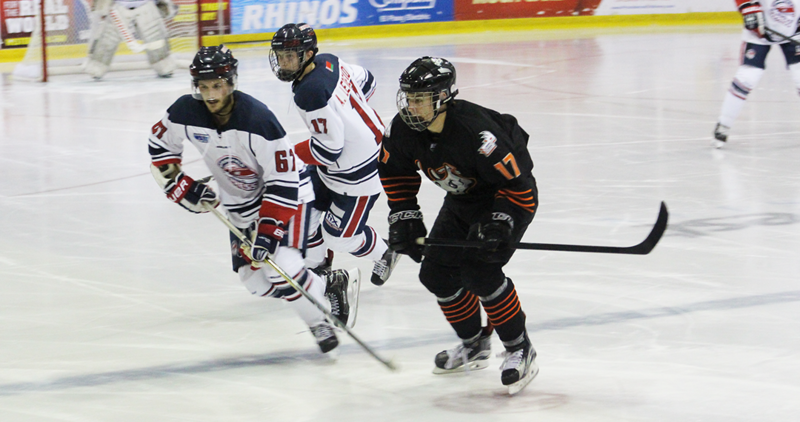 Although Superior scored first, the Rhinos answered back with 4 consecutive goals to win 4-1. 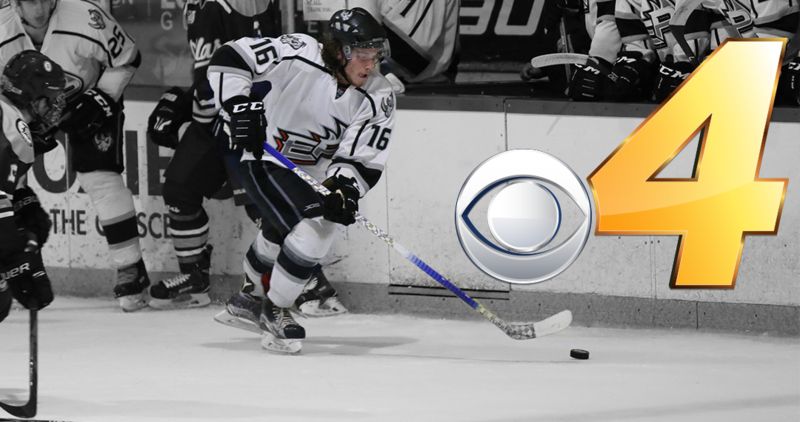 CBS4's Eric O'Brien got to know new forward Ian McCollum, whom, as we found out, is famous by association. 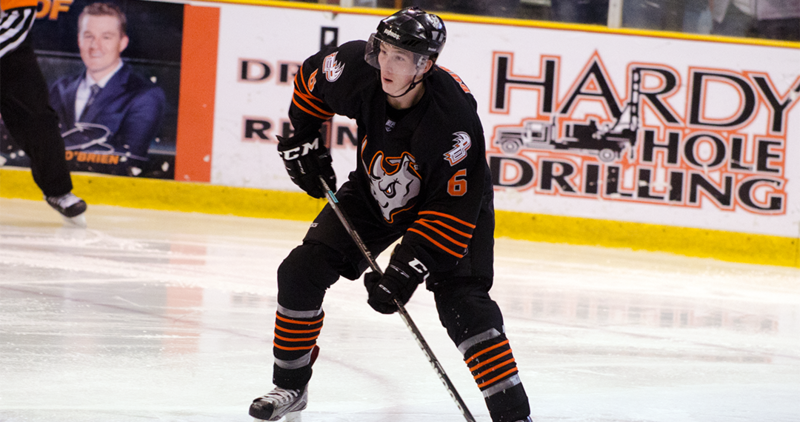 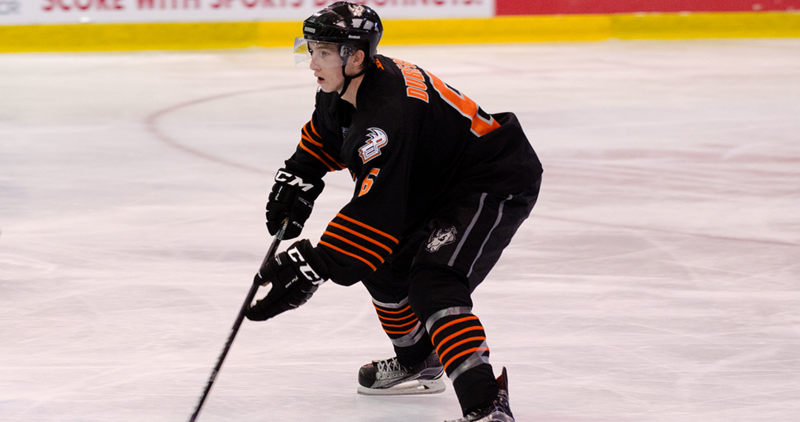 Read the recaps from all three games against the Ontario Avalanche. 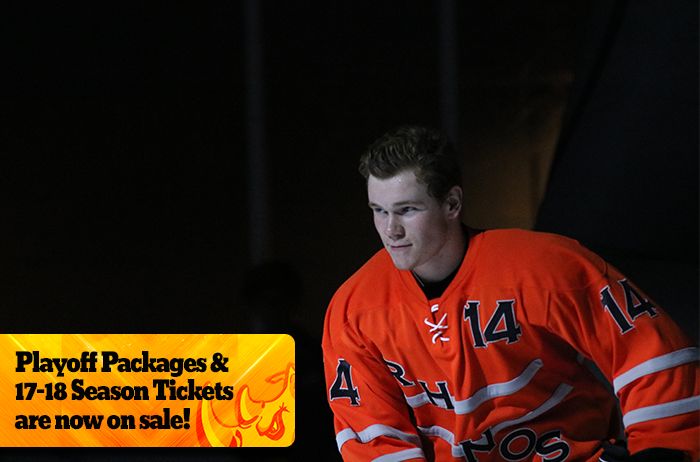 Get your tickets for the home opener on Oct. 27-29! 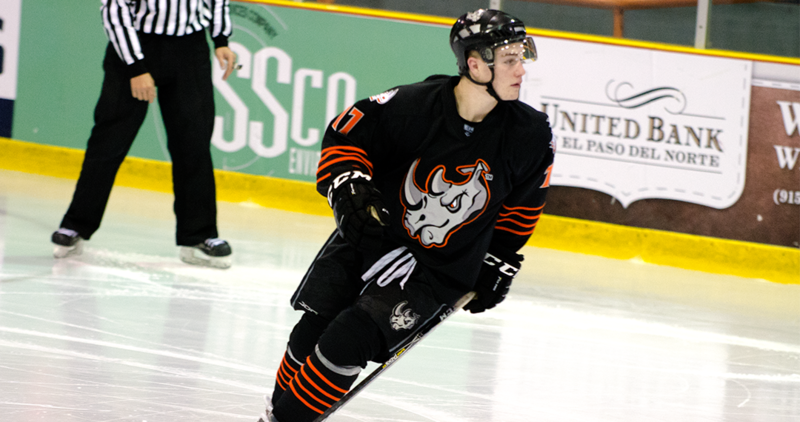 The Rhinos scored 24 goals in three games against the Snipers in the season opener. 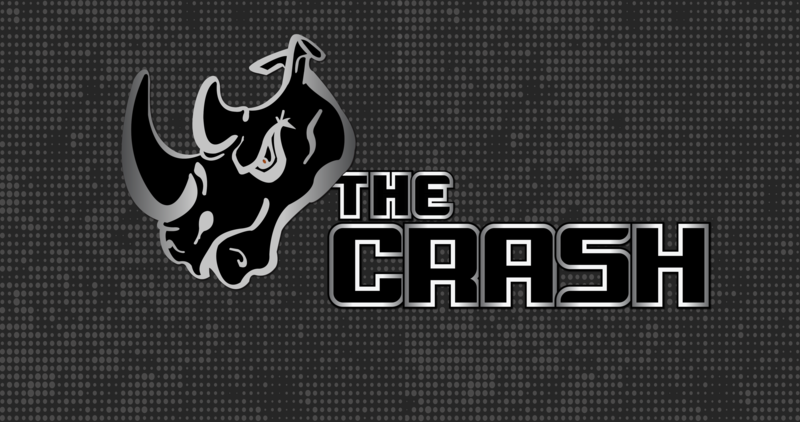 Join the booster club, the Crash! 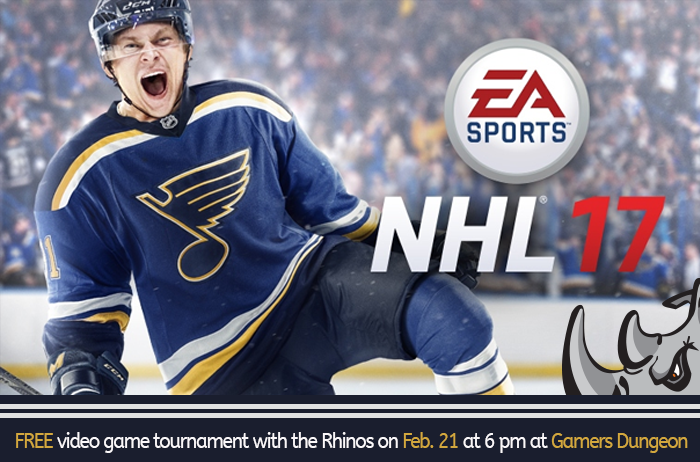 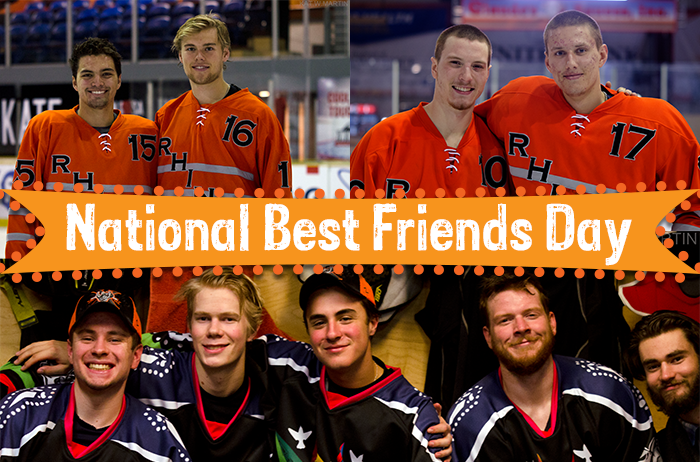 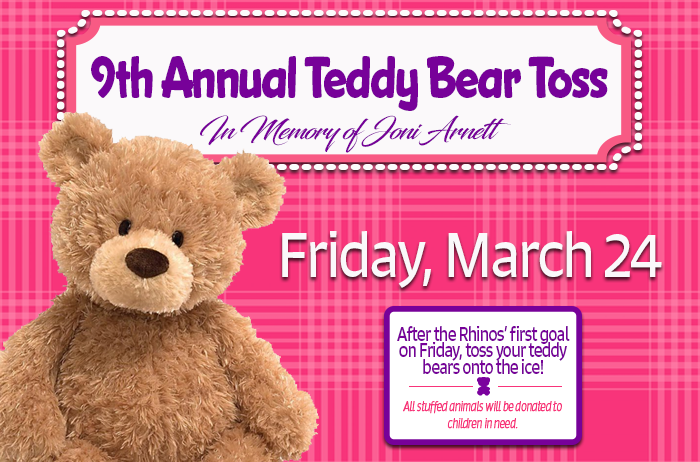 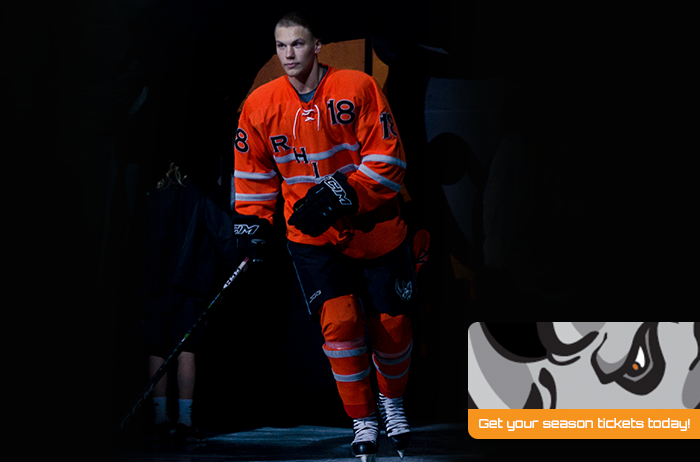 Support the Team and gain inside access to Rhino Hockey! 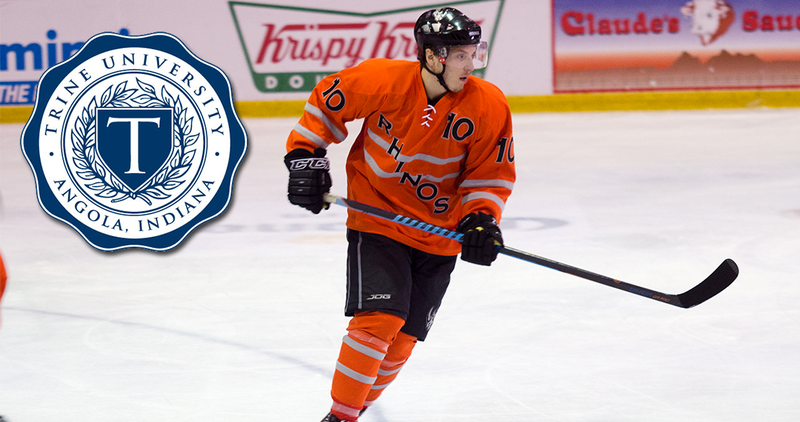 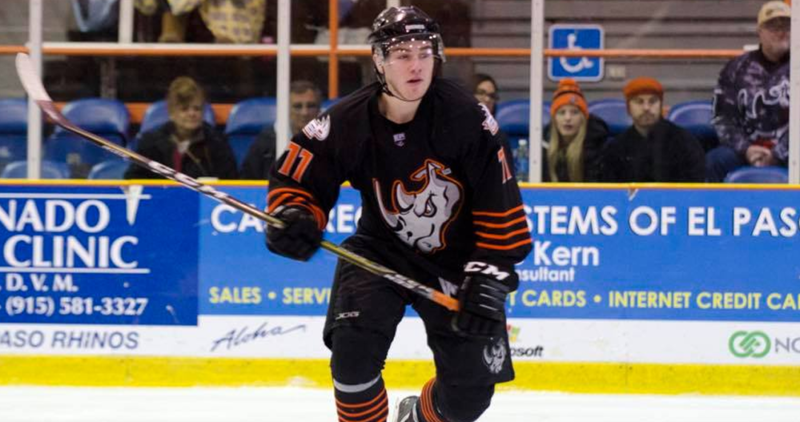 In a matter of days, former Rhino forward Drake Cartwright will start classes and practices at the University of Central Oklahoma. 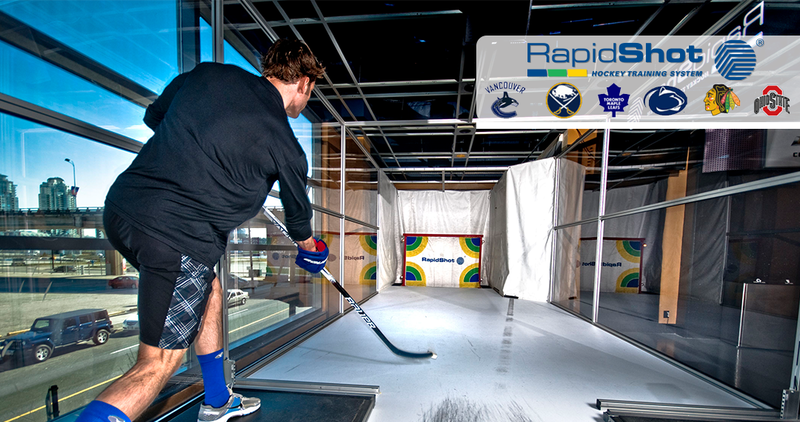 The Rhinos are installing a new shot system that will help players improve reception, reaction time, accuracy and shot speed. 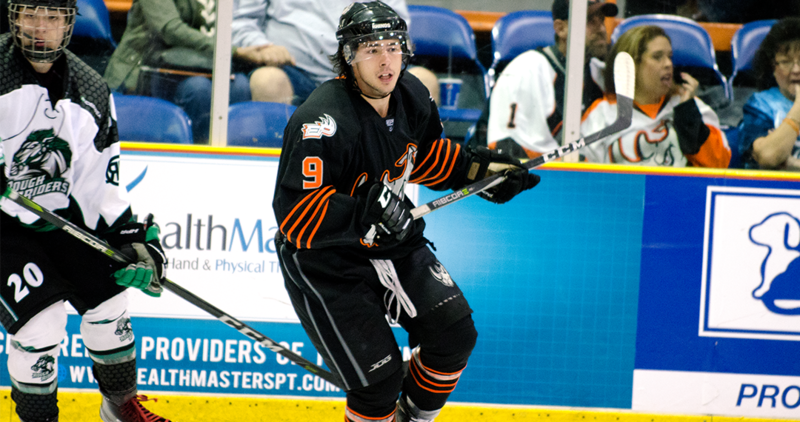 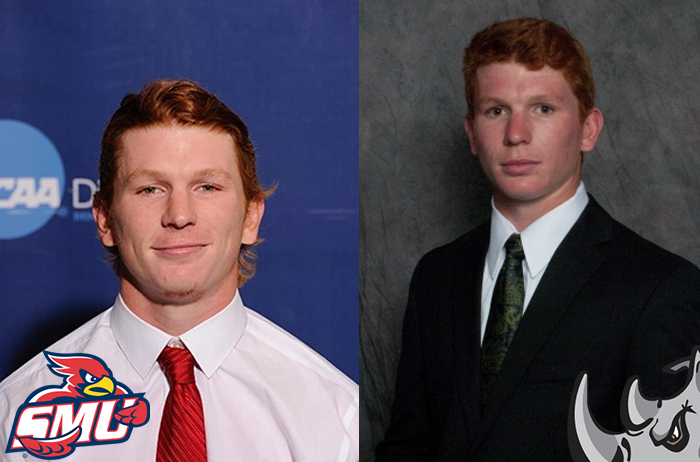 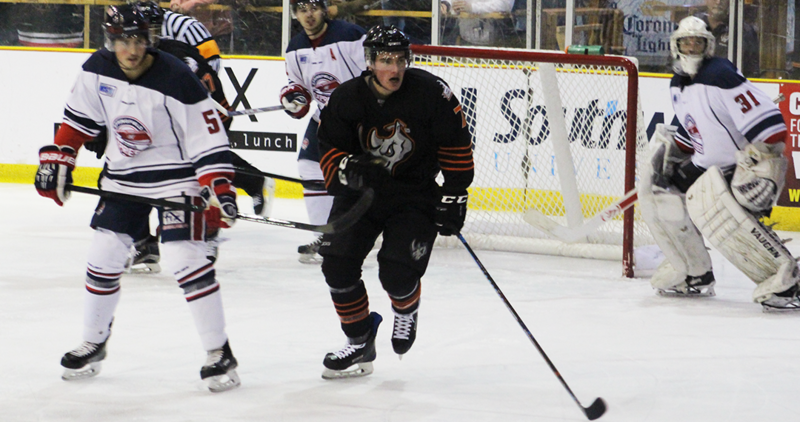 The forward will play for the Thunder in their inaugural season. 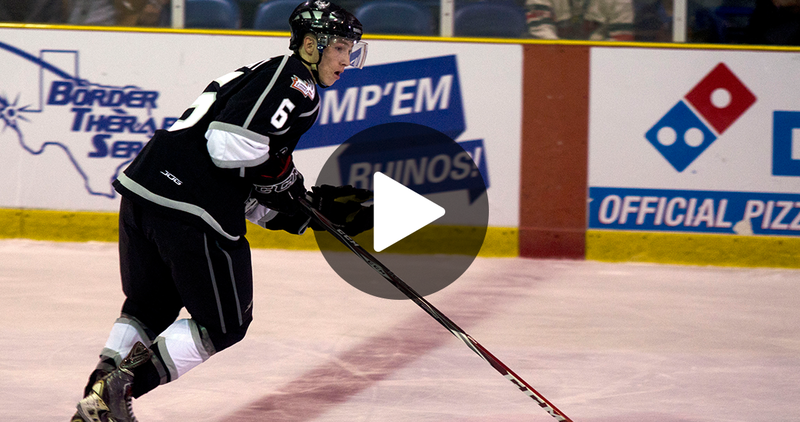 This slow motion goal is brought to you by Jesse Vuorinen! 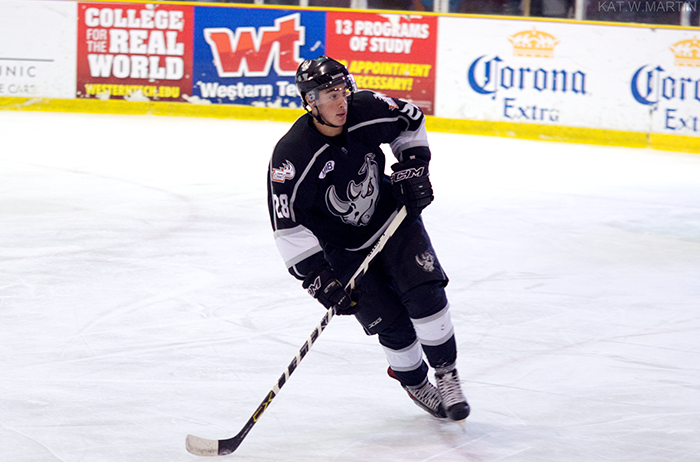 A year after his first NHL Development camp, former Rhino Adam Vay goes into his second camp more self-assured. 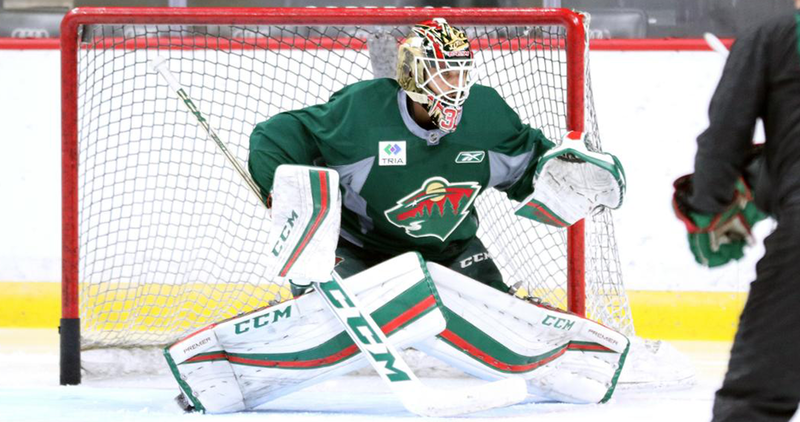 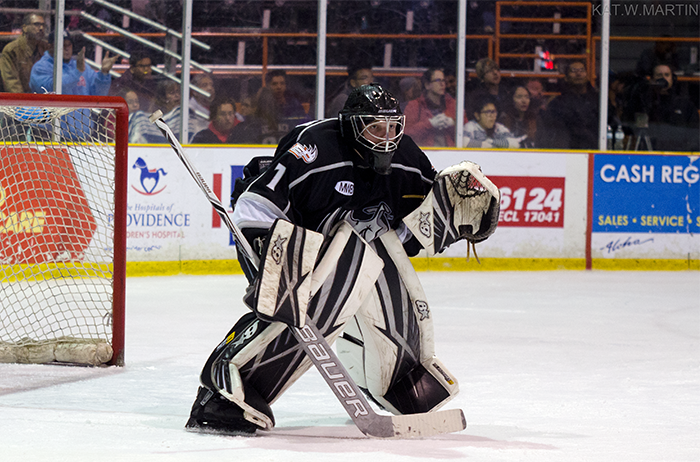 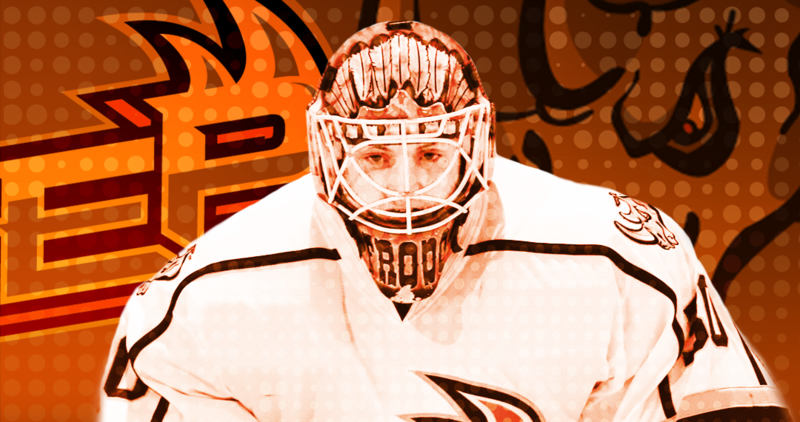 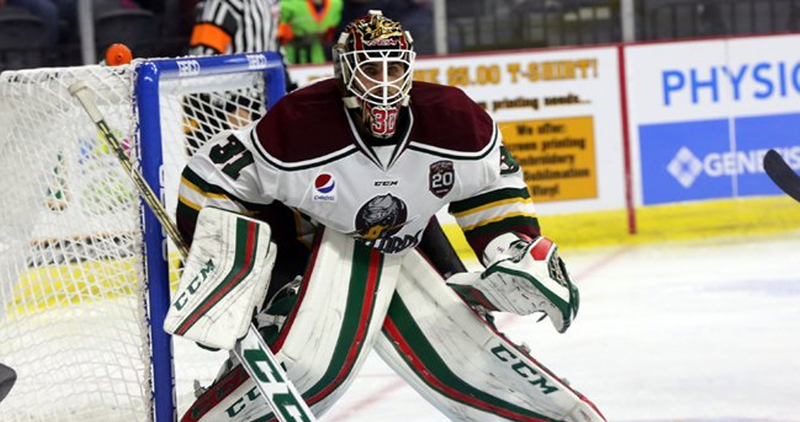 The former Rhino netminder will attend the Minnesota's Wild Development for the second time. 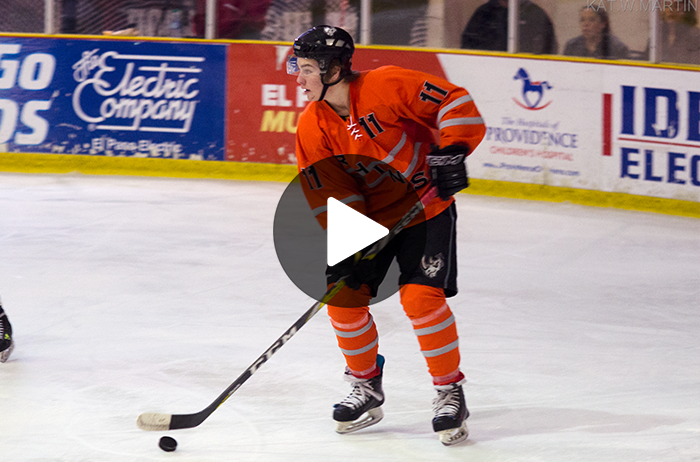 This slow motion goal is brought to you defenseman JC Dubecky. 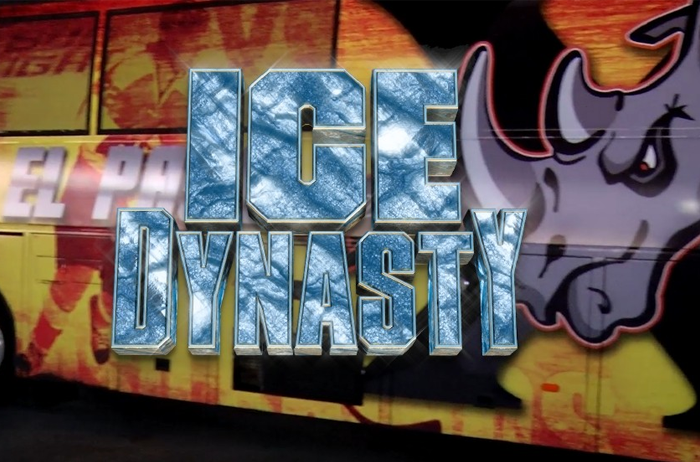 Watch CBS4's special on the Rhinos! 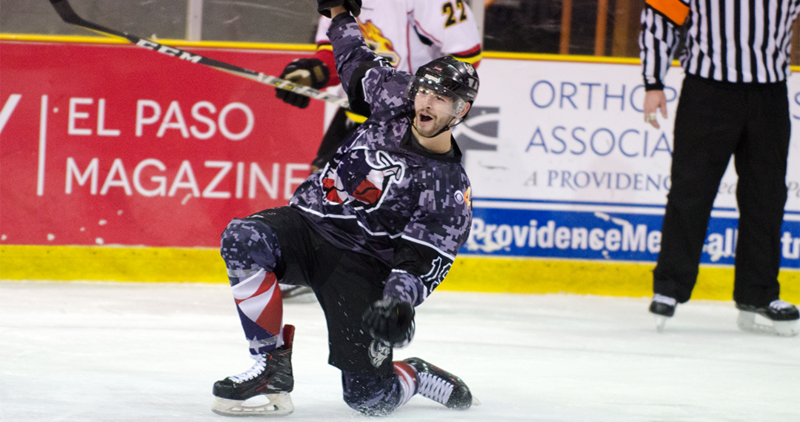 Renew or Purchase Season Tickets Today! 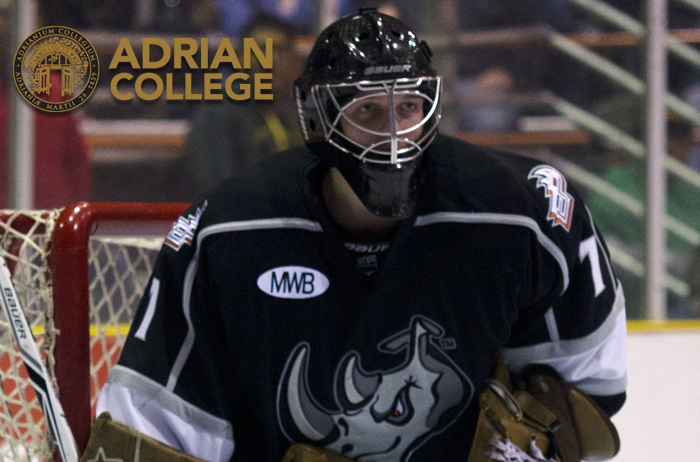 There's Another Series in Rhino Country! 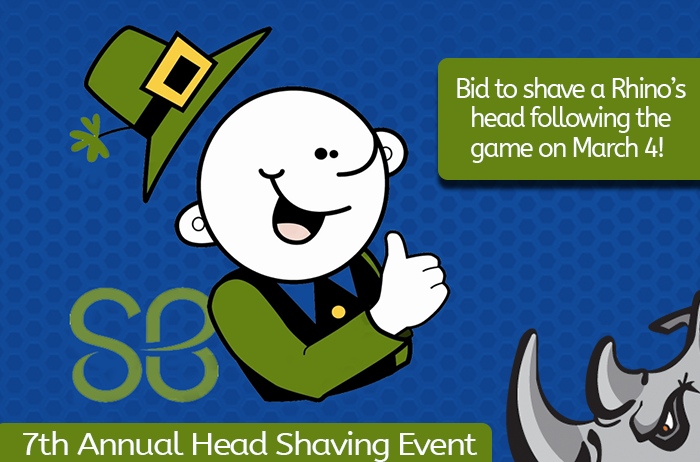 Click for Tickets. 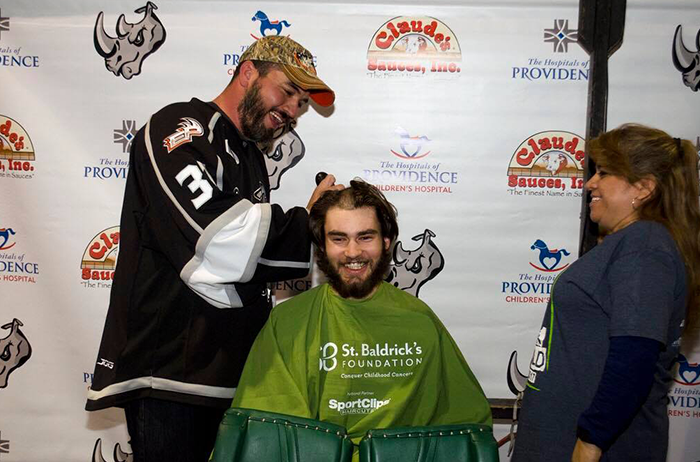 The Rhinos Are Going Bald to Defeat Childhood Cancer! 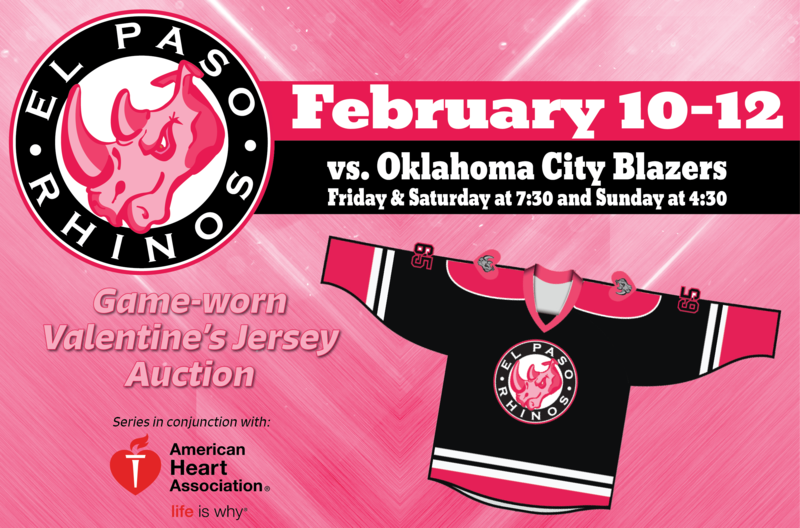 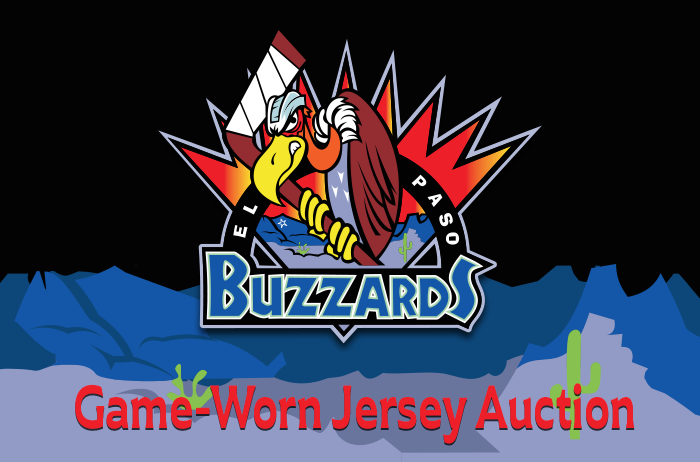 Bid on these Valentine's Jerseys this Saturday! 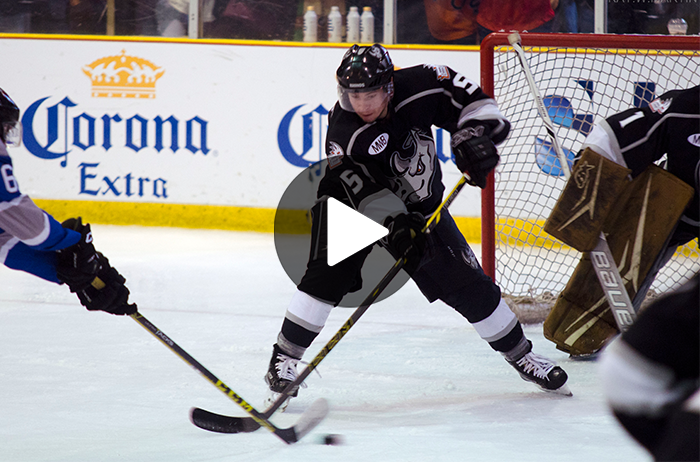 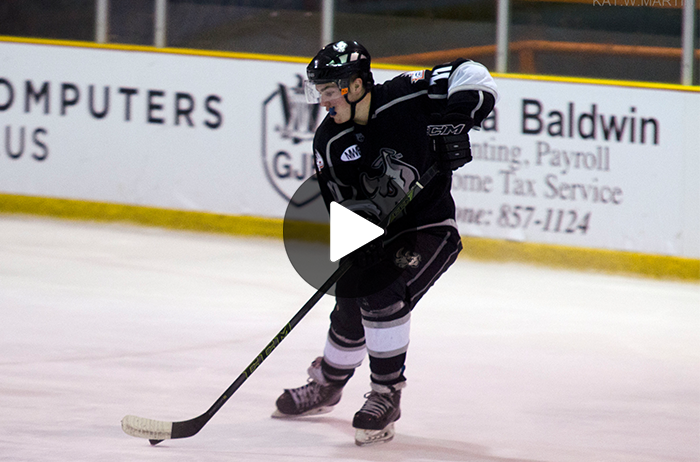 We've got the highlights from the Rhinos' sweep of the San Diego Sabers! 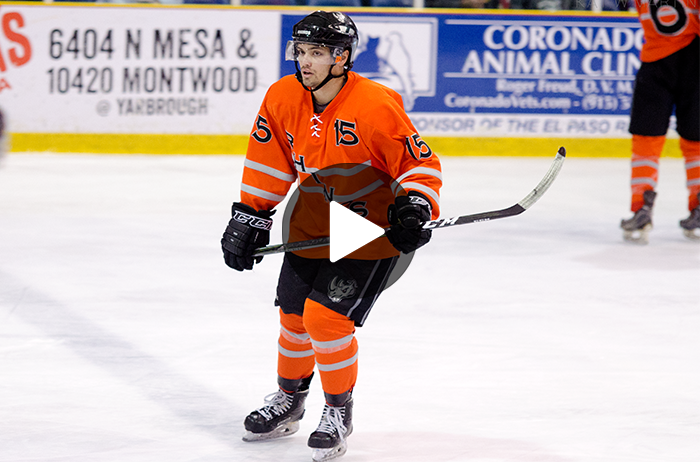 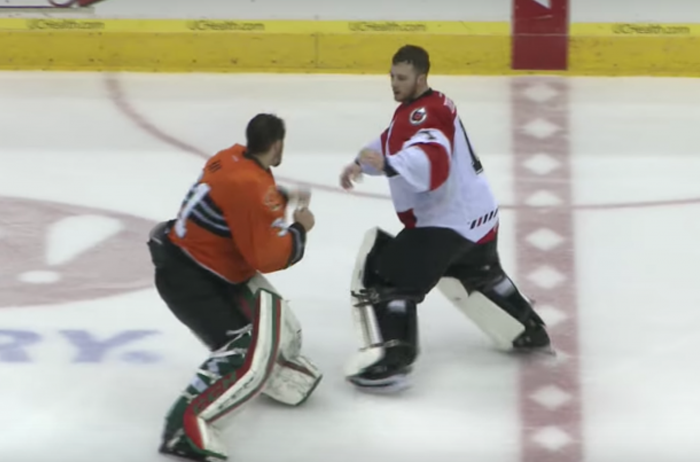 Watch clips from Saturday night's 12-1 win over the San Diego Sabers. 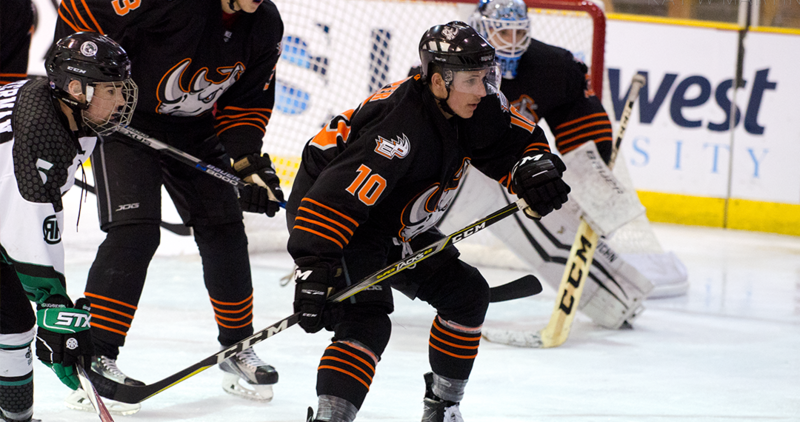 Another Monday means we're one week closer to hockey season! 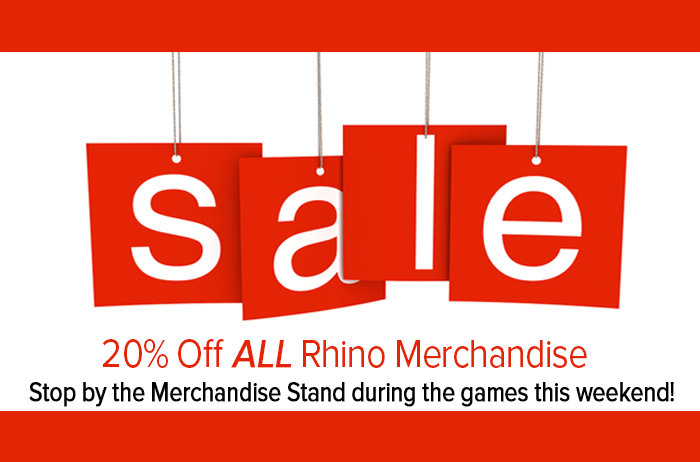 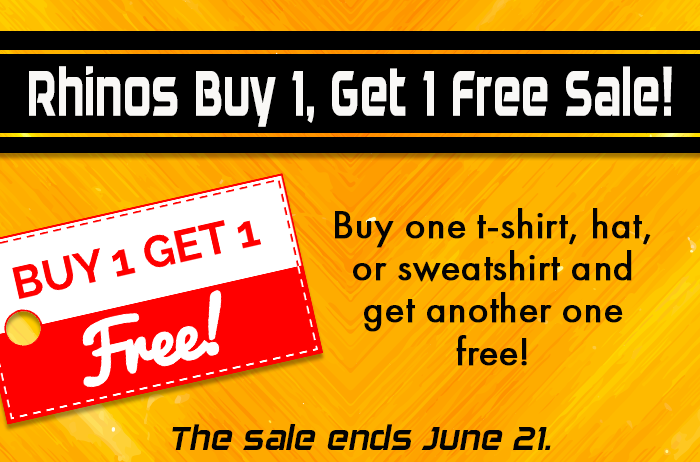 Click to purchase your Rhino gear! 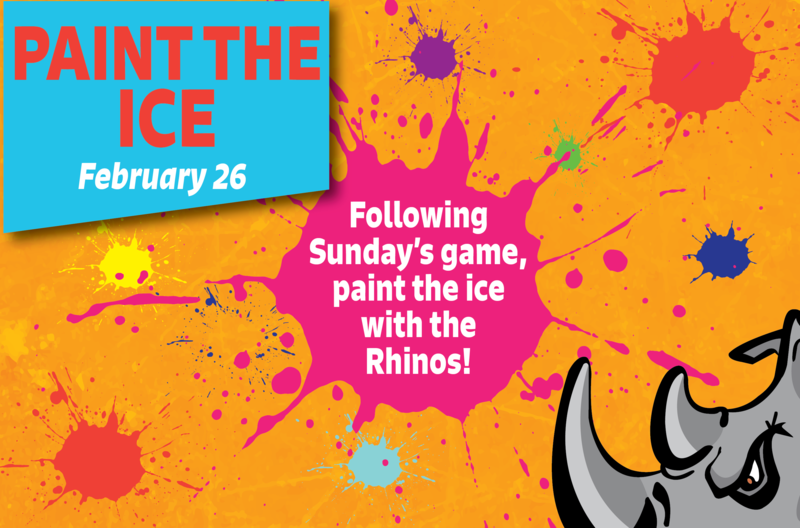 Paint the Ice after the Game on Sunday! 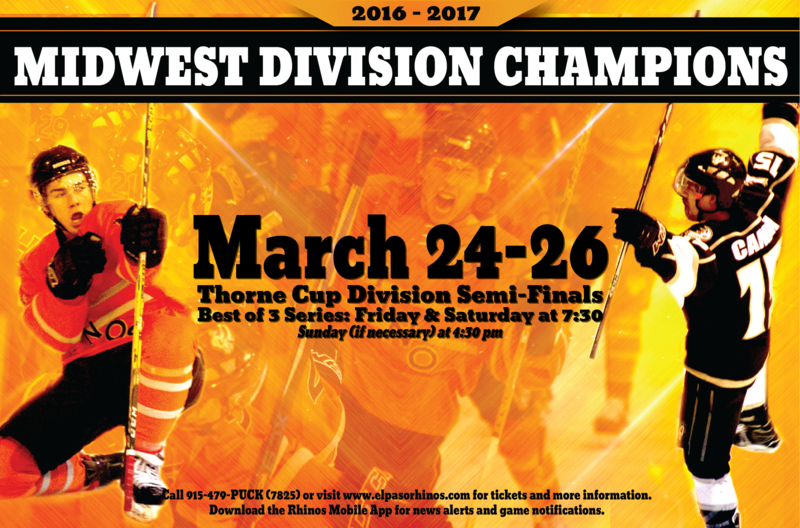 Playoff Packages & 17-18 Season Tickets now on sale!